Offering you a complete choice of products which include plastic carry bags, plastic shopping bags, screen printed carry bags, self adhesive bubble envelope, printed plastic carry bags and plain plastic shopping bags. White Colour Carry bags are now available online. These bags are designed perfectly for more storage area with easy to carry features. The perfect partner for Retail, Trade Shows, Seminars & Promotions. These bags have flexible carry handles that are attached internally, help to improve comfort while carrying. We are committed to offer our clients, a wide collection of Plastic Shopping Bags. The professionals working with us. 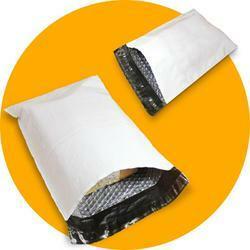 We use optimum grade plastic, following industry set guidelines, in the manufacturing of these bags. In addition to this, we offer these bags in various sizes, designs and colors as required by customers at industry leading prices. 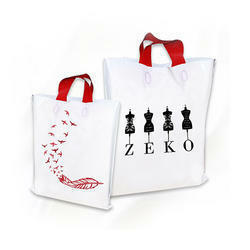 Screen Printed White Carry Bags - One Side Print with One Color or Two Sides printing with One color. 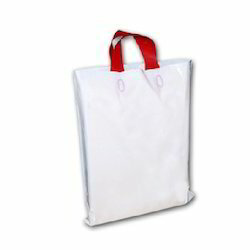 White Colour Retail Carry bags are now available online. These bags are designed perfectly for more storage area with easy to carry features. The perfect partner for Retail, Trade Shows, Seminars Promotions. These bags have flexible carry handles that are attached internally, help to improve comfort while carrying. We are committed to offering our clients, a wide collection of printed Plastic Carry Bags. The professionals working with us. 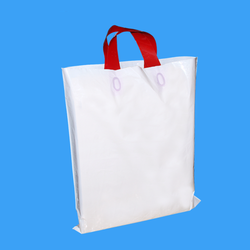 We use optimum grade plastic, following industry set guidelines, in the manufacturing of these bags. In addition to this, we offer these bags in various sizes, designs, and colors as required by customers at industry leading prices. We are committed to offering our clients, a wide collection of printed Plain Plastic Shopping Bags. The professionals working with us. 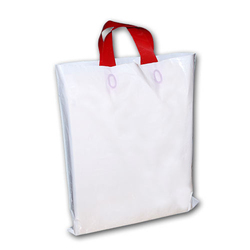 We use optimum grade plastic, following industry set guidelines, in the manufacturing of these bags. In addition to this, we offer these bags in various sizes, designs, and colors as required by customers at industry leading prices.